Headliner is Broadsheet’s fresh, seasonal blend. The contents might change, but the freshness of the coffees in the bag won’t, and neither will the flavor profile. 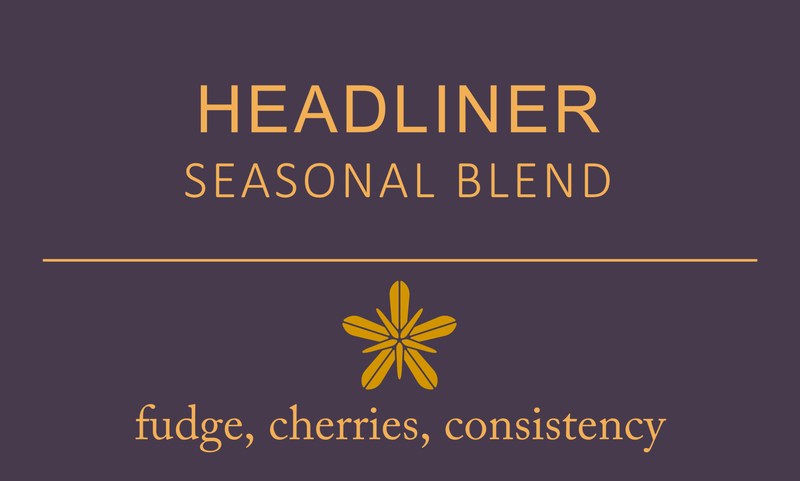 We aim to provide an approachable cup that is full of chocolate and cherries. Something that works as a pour-over, in your automatic brewer, or as an espresso. A great morning cup, black or with milk, as well as something interesting enough to hold the attention of aficionados. Currently using a blend of Colombian and naturally processed Ethiopian coffees that have just landed.